When Chef Jean-Georges Vongerichten looks at a vegetable he doesn't see a side dish or a garnish—he sees a lifestyle. A lifestyle that happens to be just right for the Magic City. 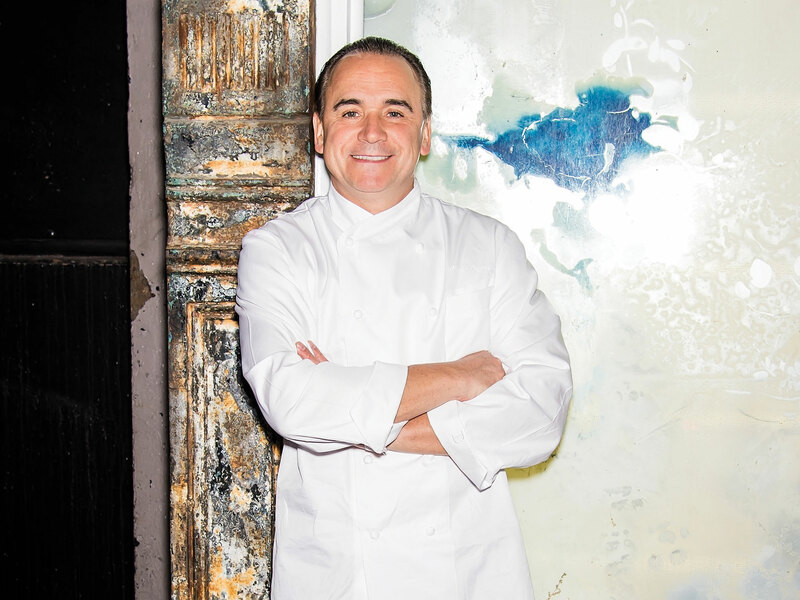 “You have to try the avocado pizza,” Jean-Georges Vongerichten insisted during an afternoon visit to his restaurant, Matador Room at the Miami Beach Edition. The legendary French chef was eager to show off his new, elevated take on the ubiquitous avocado toast. The Jean-Georges version, a colorful, spicy combination of jalapeño, spring onions, cilantro, raw avocado and key lime juice on top of crisp pizza dough, is destined to become Instagram catnip, as well. The fact that this is one of Vongerichten’s favorite new dishes is telling. Lately the chef, who first made a name for himself with nouvelle-cuisine style food, has become more and more infatuated with plant-based diets. “It’s really the future,” he explains. “It takes two weeks to grow a radish, it takes two years to raise a steak.” And he’s clearly not alone. His first vegetarian restaurant, ABCV, was a hit in New York after it opened last year, and now those in Miami will get to see what the hype is all about when he brings vegan-friendly dishes, like green chickpea hummus and coconut yogurt with pistachio granola, to the Design District this fall. “We feel like ABC really fits there; it’s a growing, more local, more innovative neighborhood,” he says of his new location. The upcoming restaurant will be a combination that will include “a little bit of ABC Kitchen, a little bit of ABC Cocina, and a little bit of ABCV,” and will be fashioned in the same minimalist vibe of its original counterpart in New York.